So when the chance to hear a Hotelie speak about his family’s restaurant business in Atlanta popped up, I signed up fast. On a cold winter night, I arrived at Switchyards Downtown Club for the Made in Atlanta talk with Federico Castellucci, president of the Castellucci Hospitality Group. While we graduated from the same university a few years apart, we had never met. His honesty and candor were welcomed warmly by the crowd competing with holiday parties and the Star Wars premiere. By the end of the night, we all felt as if we knew him. 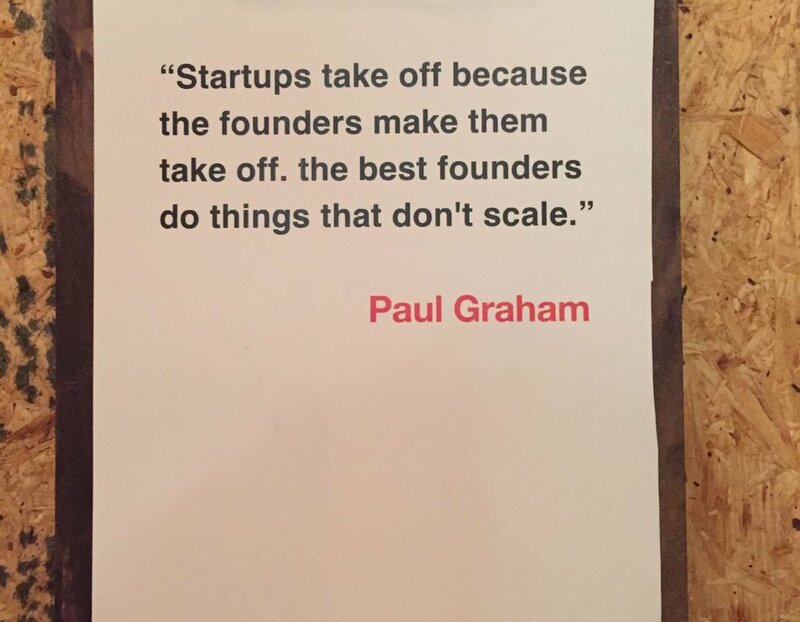 But, that’s often the case at Switchyards, a consumer- and design-focused startup hub. Located in downtown Atlanta on Ted Turner Boulevard, the historic building was built in 1928. Its past paints a picture for the present: Formerly home to Keelin Press, the building has been a printer of books and greeting cards, the Harrison Company, a publisher of law books, and Lanier Company, a distributor of dictation machines. Turns out, when I shared this post with Paw, he reminded me that many years ago, he worked for Lanier and sold dictation equipment. It’s ironic, considering that Paw and I enjoy attending Switchyards events together. To learn more about the building's history, check out History Atlanta. Today, it’s a gathering place for founders and doers with 19,000 square feet for meetings, events and working. It even features an espresso bar with techie founders as the baristas and an iconic old-fashioned cash register. Mugs with names of members line the perimeter of the main space. There’s also a Pac Man “machine,” which brings back fun memories of my arcade-playing days. They have a pretty cool ping pong table too. I’ve yet to see it in action, but I would challenge a fellow attendee to a game. Co-founded by Michael Tavani and David Payne, the guys behind Scoutmob, they recently launched a Studios venture. There’s something really special happening at Switchyards that brings me back as often as I can attend. Celebrating its one year anniversary this January, the Made in Atlanta series features the best and brightest entrepreneurs of the city from a range of industries, including food, design, journalism and more. My first visit to Switchyards was to hear the founders of King of Pops, the Atlanta popsicle company with unique flavors such as Blueberry Cobbler, Peaches and Cream and Watermelon Mojito (my personal favorite). Founders present answers to a series of questions to tell their stories. From how they launched to what inspires them and everything in between, the guest speakers share their candid reflections. Federico’s story began with how he ended up in Atlanta. He comes from a long line of restaurateurs. After a restaurant failure in Rhode Island, Federico’s father packed up the car and moved to Atlanta, after reading about it in a magazine as one of the fastest-growing cities in America. Here, they opened Sugo, an Italian restaurant, in the suburbs. Quick success also brought dreams of franchise expansion, but that came to a halt. Starting from scratch again many times, the family business has taken twists and turns with economic changes. Through hard work and perseverance, the hospitality group has grown to include a number of prominent and unique establishments in Atlanta, including the Iberian Pig, which even has a location in Mercedes-Benz stadium, and the newest, Bar Mercado in Krog Street Market. On Made in Atlanta nights, the audience chimes in with questions via Twitter. The guests are also eager to chat, connecting with each other beyond just trading business cards, but developing a culture of creatives in Atlanta. Another fun perk of the evening is the classic limited-edition printed T-shirts produced by Alternative Apparel, a local clothing company specializing in the softest shirts. I really wanted this month’s featured t-shirt: "Atlanta: We only stop for Snow!" But alas, I wasn’t one of the first 100 to register for the event. For now, I’ll keep an eye on Swaglanta, another Switchyards venture, featuring one piece of clothing per month. Perhaps this shirt will make a future appearance? This story is reprinted with permission from Julia Levy. It was originally published on her blog, SouthernFriedChik.com. Check out Switchyards member Jason Seagle's sweet photos of the event here. Julia Levy is home ATLast. 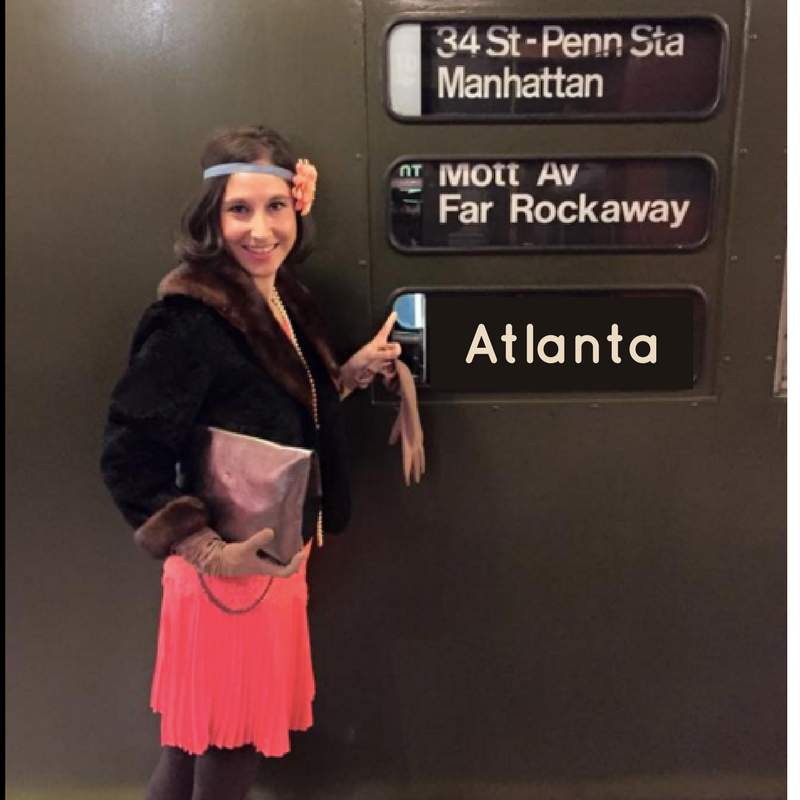 Her blog, Southern Fried Chik, chronicles adventures of a proud Georgia Peach. Former Texas Star. Retired New Yorker. Stories about the Homestead, fur and friends, life in between and more.